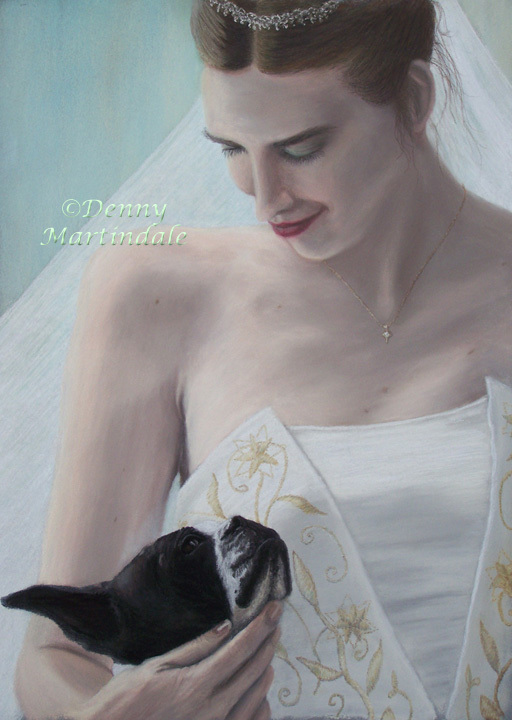 This is a 14" x 11" pastel portrait I did of a bride and her first love, her dog. I thoroughly enjoyed the challenge of painting the embroidery on the wedding dress, and was pleased with the results. It is in my collection of sample portraits and is available for purchase, matted and framed, for $400 USD (no refunds or exchanges). Please email me if you are interested in this piece.